Looking for a beautiful, quaint, hospitable, quiet retreat? to your year-round recreational dreams. Located in the spectacular White Mountains, Greer is nestled in a remote mountain valley five miles south of Arizona 260 at the end of Arizona 373. Because there is no through traffic, the atmosphere is quiet, slow-paced and tranquil - a rare commodity in today's fast and furious high-tech world. 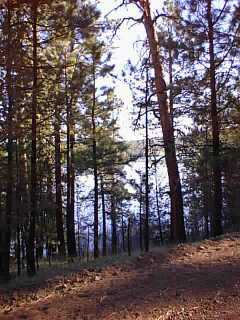 With the elevation at 8,525 feet, the summers are cool, crisp and inviting. Winters are full of fun in the snow. The approximately 90 permanent residents of Greer work together to preserve the area's rustic beauty and charm. Many of these people own and operate their own family businesses. There are excellent choices for lodging, dining and other related services. Whether your preference is setting up housekeeping in your own cozy, private cabin or experiencing the warm hospitality of a bed and breakfast, Greer has it. Or perhaps a clean, comfortable motel room better suits your needs. The choice is yours. The restaurants are varied, making decisions difficult. Try them all ! you won't regret it. Greer is truly a four seasons recreational area. Each season is unique and brings with it a multitude of activities. Let's start with spring. This is the time of renewal, a time to relax and reflect. With skies clear and wildflowers coloring the countryside with their delicate beauty, one can begin to unwind and rejuvenate. What better way to relax than by taking a hike on the well-marked nature trails or along the grassy banks of the pristine stream. Perhaps horseback tickles your fancy or fishing the trout-filled streams or nearby Greer lakes. Whatever your pleasure, be sure to have a camera ready because wildlife is plentiful. Observing the quiet yet exciting beauty of the hills, forest streams and skies is enough to give anyone a fresh outlook on life. Greer boasts of frequently having the coolest temperatures in the state during summer months, making it a welcome destination for many desert dwellers. The temperature rarely exceeds 78 degrees. Nighttime temperatures drop to the mid-40's, allowing for a restful night's sleep. During the monsoon months of July through September, you can expect an exhilarating afternoon rainshower, which cools and refreshes. Many choose this time of year to take an afternoon nap or read their favorite author. With the showers over, activities resume. Many are discovering mountain biking as their newfound outlet. Greer offers the challenge and the varying terrain cyclists are looking for. The forest roads, cross-country ski trails and nature trails are excellent avenues to explore. Summer brings a chance to fish on the stream or in the beaver ponds on the east and west forks of the Little Colorado River, which runs through Greer. 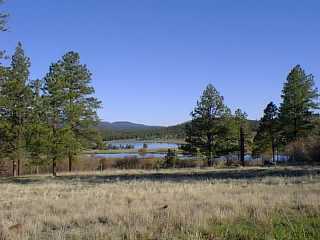 Greer is 15 to 20 miles from Big Lake, Crescent Lake and many other High Country lakes and streams in the heart of the best trout fishing in Arizona. 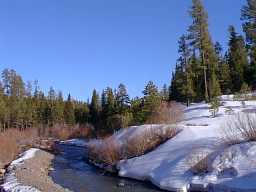 Camping in the nearby national forest campgrounds, hiking, horseback riding, birdwatching, nature walks, scenic drives and just plain relaxation await you. Fall often brings an Indian Summer extending into late October. Great fishing, hunting (deer, elk, turkey, antelope), hiking, horseback riding, berry picking, camping, photography, birdwatching, nature walks and scenic drives are all enhanced by the grandeur of the golden autumn. Perhaps you would like to explore the past by familiarizing yourself with Greer's local history. Two museums and a library await your visit. There is plenty to do during this very special time of year. Autumn is said to be the favorite time for many local residents and visitors alike. Many days of short-sleeve weather are combined with cool, crisp nights. The moderate temperatures, peaceful atmosphere and the aspens' spectacular show of colors make it truly special. Winter brings a blanket of white snow and all the fun that can be had. Downhill skiers flock to Greer, knowing it is the closest community to the Sunrise Park Resort, a 15- to 20-minute drive. The most exciting winter sport developing the the White Mountains is cross-country skiing. 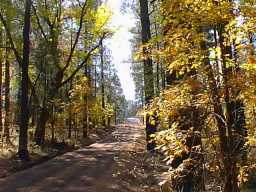 The U.S. Forest Service and Greer have developed a system of Nordic cross-country trails winding through approximately 35 miles of the Apache-Sitgreaves National Forest. The area offers skiing for the beginner through expert. The trails are marked and signed for your safety and skiing pleasure. Lessons and equipment are available in Greer. Winter in Greer also offers hiking, with the help of snowshoes, ice skating, ice fishing, horse-drawn sleigh rides, snowmobiling and an old-fashioned white Christmas. Many choose to make an annual trek to the area to cut that special hand-selected Christmas tree. It has become a family tradition for many. But not everyone wishes to get out and brave the elements. For some, sipping a hot beverage by a warm, cozy fireplace is far more appealing. Whatever your preference, winter in Greer is to be experienced. There are several annual events that take place each year. The "Bob Hirch Spring Fling for Trout" fishing derby takes place from mid-April to mid-May, which excites even novice anglers. Everyone is invited. Trophies and prizes are awarded each week for anglers who pull in "the big one." Grand trophies and prizes are awarded at the end of the derby. Call one of the local businesses to get schedules of other exciting events taking place in the Greer area or check the community calender posted on White Mountains Online! Greer is perhaps best known for its excellent trout fishing and its pristine, unspoiled beauty and lifestyle. With the change of each season comes a new array of exciting activities. If you are looking for a unique family vacation spot, a weekend retreat to help gather your thoughts or a romantic haven to spend a honeymoon, Greer has it for you. The beauty of visiting Greer is that you can do everything or do nothing at all. We hope to see you soon!